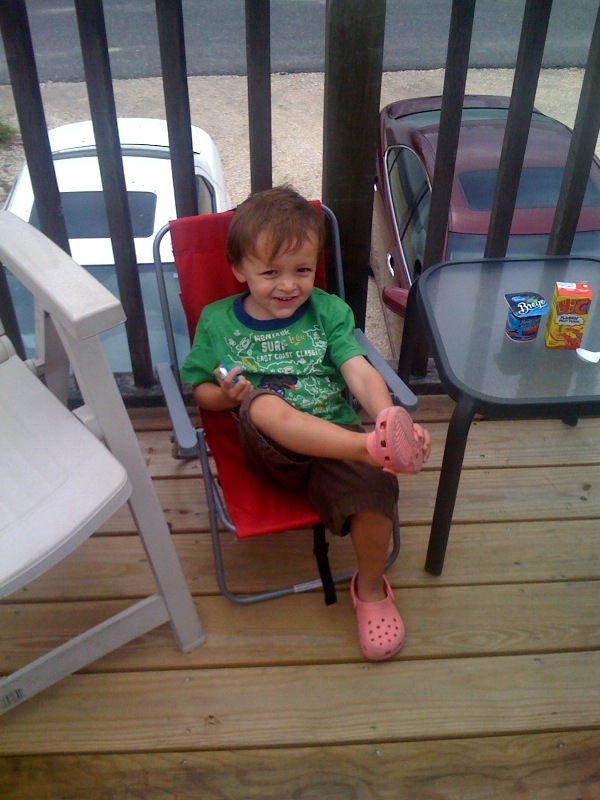 I broke down and bought him his own beach chair. We are sitting on the deck having coffee and lightning mcqueen themed yogurt. The food critic has reviewed the yogurt – “it’s delicious,” he tells me.